The video sees the Oasis man walk through the streets of London and pay tribute to his hometown of Manchester. Liam Gallagher has unveiled the video for his Chinatown track. The Charlie Lightening-directed video sees Gallagher taking to the streets of the capital, passing by landmarks such as Big Ben and the London Eye. The track comes as an instant grat. along with Wall Of Glass when Gallagher's debut album, As You Were, is pre-ordered. The release follows a teaser clip for the video, which was previously shared on Liam Gallagher's official Instagram last week. 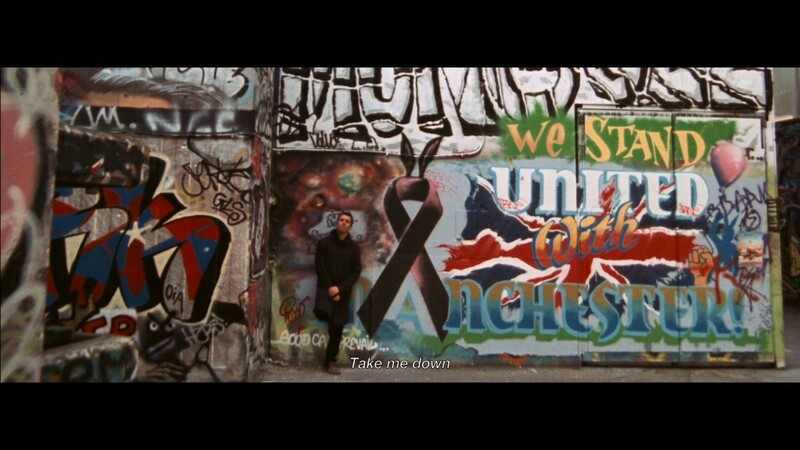 The Manchester rocker also takes time to pay tribute to his hometown in the promo, which was afflicted by a terror horrific attack, by standing outside a mural which reads "UNITED WE STAND WITH MANCHESTER". This isn't the first time the rocker has paid tribute to his hometown, making a surprise appearance at Ariana Grande's One Love Manchester benefit concert. Most recently, he honoured the victims of the Manchester attack along with those in the Grenfell Tower fire at Glastonbury 2017, where he sang Don't Look Back In Anger for the first time ever. Liam Gallagher's first ever solo show - which took place at the O2 Ritz in the city - saw the former Oasis frontman place 22 candles on the stage for the 22 lives lost in the Manchester attack. The end of the gig also saw the intimate crowd pay tribute by chanting "stand up for the 22" in the venue.